MORE BRAINS... More Brains... more brains! We all know how much those zombies love their brains. One thing many people aren't aware of is that zombies hate VEGETABLES! 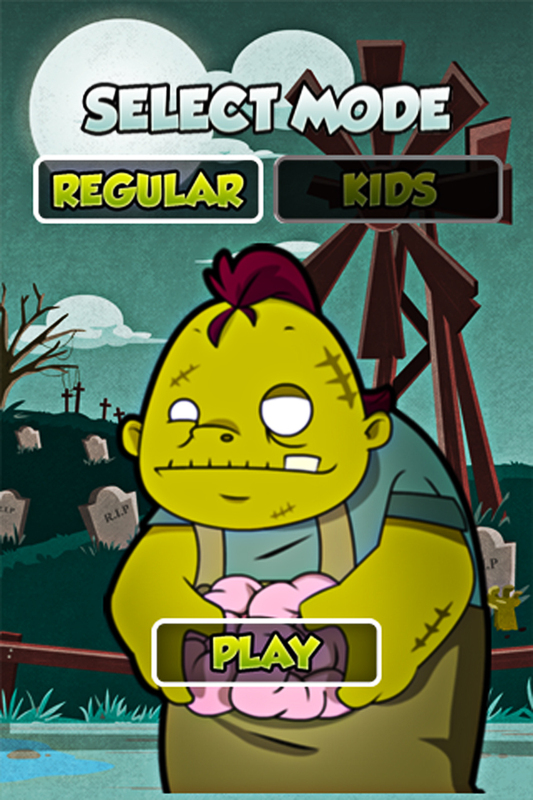 Help your zombie satisfy their hunger cravings with a well-rounded diet of juicy brains. 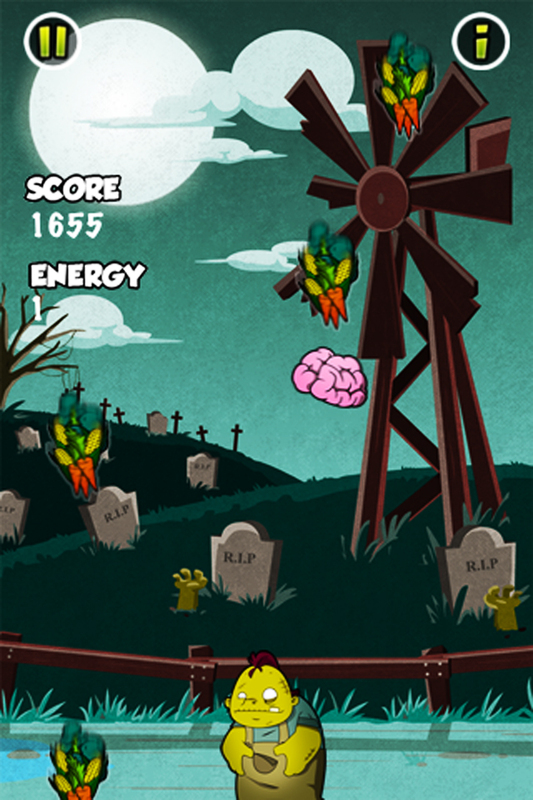 Catch the brains as they fall from the sky by tilting your device from side to side. Be careful though! It's raining vegetables from the farm too! 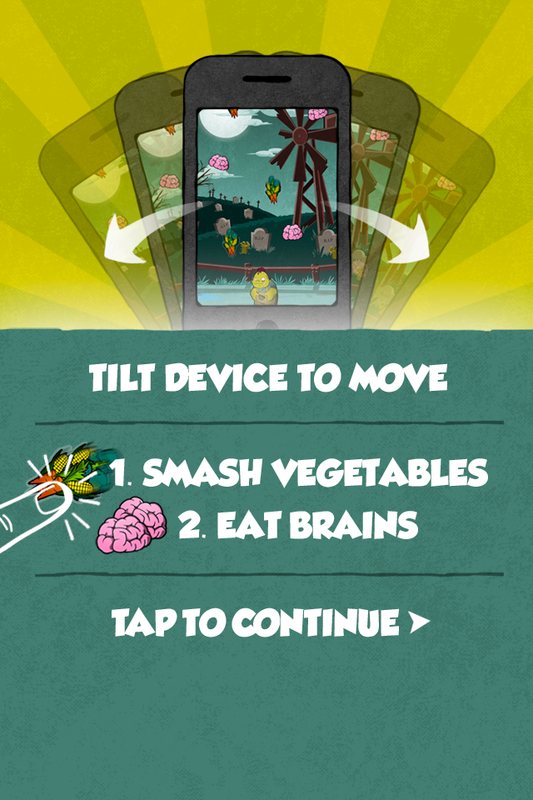 Dodge the vegetables or make them explode mid-air by tapping them. You lose one zombie life for every veggie that hits you. 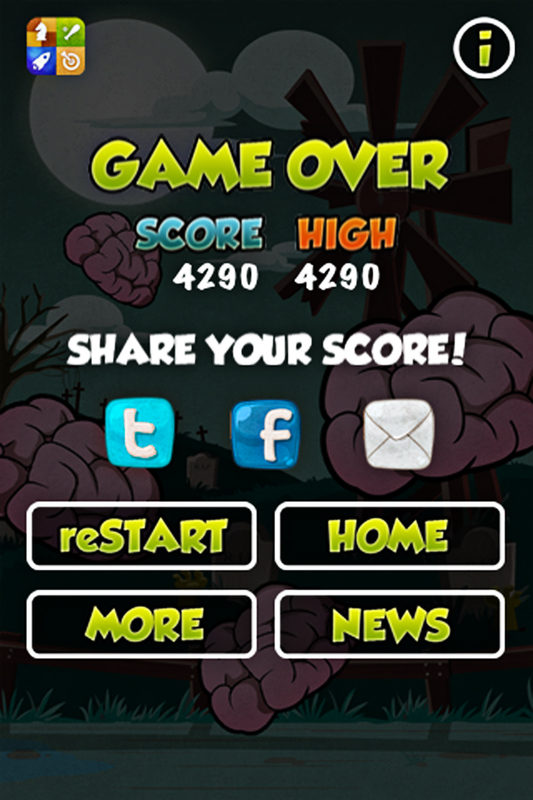 Increase your score for each brain that you catch. Bonus lives are awarded for every 7,000 points! Challenge yourself and the rest of the world as you and your zombie get your fill at this brain buffet and takeover the world. 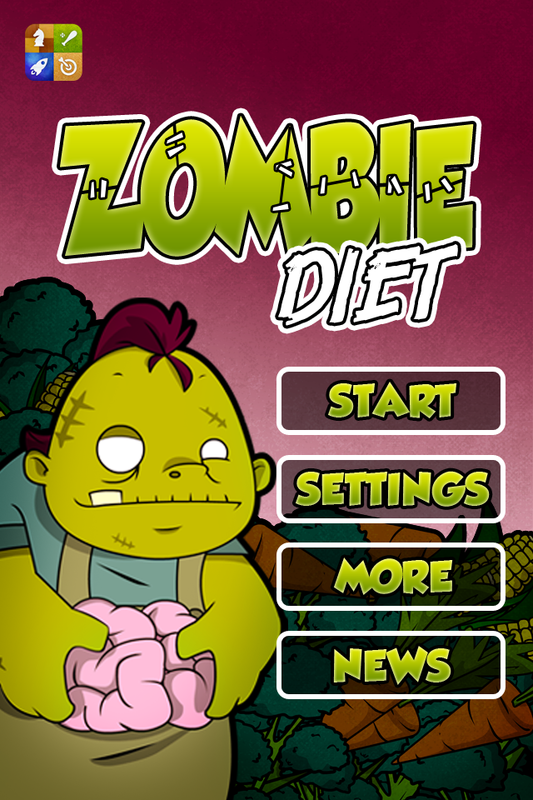 Zombie Diet is super easy to play, but super addicting and hard to put down!